The movies are the best time capsule of an era, giving you access to the music, the dress, the tech trends, the social/political climate. As '80s and '90s babies grow up, we find ourselves more compelled to a nostalgic POV, that perspective that blends—to quote writer Samuel R. Delany—"the first, the best, and the youthful gaze." 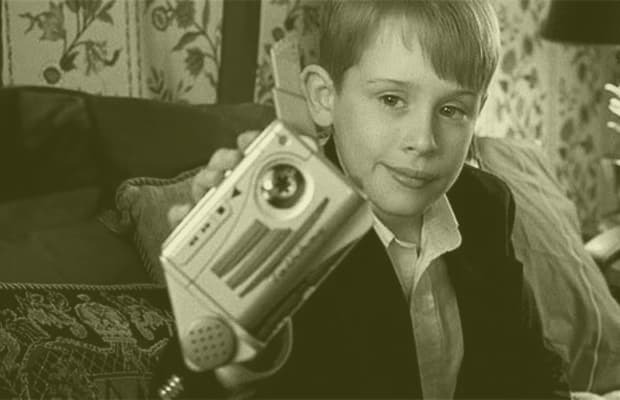 So, whether or not Home Alone is a good movie (though it is), for many it's the first holiday movie you can remember seeing, one of the first movies to have a protagonist that didn't seem much older than you, and you wanted to be like him, like Kevin (or at least have his stuff)—and thus it remains powerful. This nostalgia becomes even more powerful because of how many of things contained within these films are no longer around. We start to have soft feelings for things we didn't like in the first place, like dial-up Internet. Don't believe it? Just check out these 25 Things From '90s Movies You Don't See Anymore—and tell us how they make you feel.